Windows provides an automatic update feature that periodically checks for new versions of important maintenance and computer repair components. Experts recommend consumers regularly update their computer's drivers, as these parts help ensure hardware and software work together seamlessly. 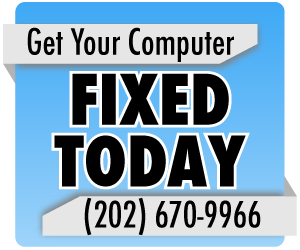 Windows Update can perform this task automatically, enabling the latest version of important drivers to keep computers running smoothly and limit calls to the Virginia computer repair shop. 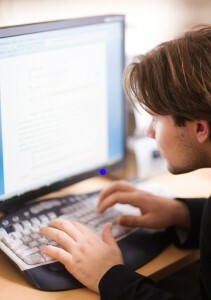 To start, users should ensure there computer is set up to receive automatic updates. Once this option is enabled, their drivers will be brought current each time Windows installs new updates. 2. Click "All Programs" and then "Windows Update." 4. In the dropdown menu, select "Install updates automatically (recommended)"
5. Under the heading "Recommended Updates," ensure the field that reads "Give me recommended updates the same way I receive important updates" is checked. 1. Open "Control Panel" and select "System"
a. "Download the updates automatically and notify me when they are ready to install"
b. "Notify me before downloading any updates, and notify me again when they are ready to install"
1. If a Windows 7 user does not wish to have Windows Update run regularly, he or she can still find and install driver updates. 2. Click "Start" and select "Devices and Printers." 3. Right click the PC icon and click "Device Installation Settings"
4. A dialog box will appear that asks the user if he or she would like Windows to download driver updates. Simply click "Yes, do this automatically (recommended)." Can My Mac Get a Virus?